If you're hungry and craving some cheap and fast man food, look no further than Five Guys Burgers, where their regular burgers come standard with two patties. The beef patties are all hand-formed and slightly uneven, giving the burger a texture unlike any other fast food place. All the bacon gets dropped into the deep fryer, giving it an extra crunch. The best part about Five Guys is that all their toppings come free. The most exciting ones include grilled mushrooms, green peppers, A1 Sauce and hot sauce. 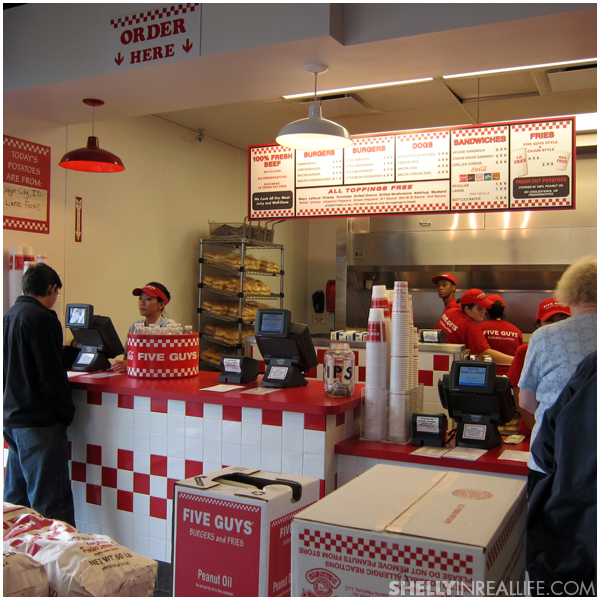 The Five Guys Burgers I went to was a new location in Sunnyvale, CA. My coworker who brought me here last month has already been back 3-4 times! 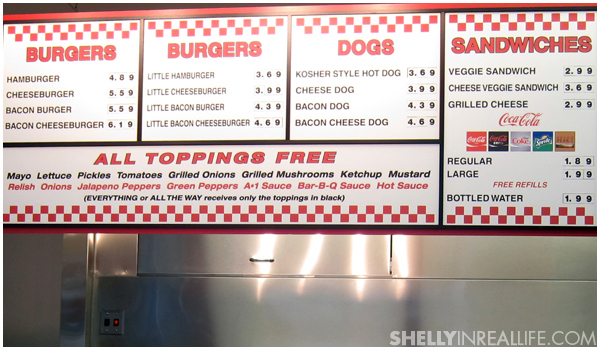 Their burger is juicy and bun is moist - I would definitely go back for another little hamburger (that's with one patty instead of two) with grilled onions and mushrooms. Their regular sized fries are enough for two people, so bring a friend. As an added bonus, they have complimentary peanuts to snack on as you wait for your food. What more can you want? 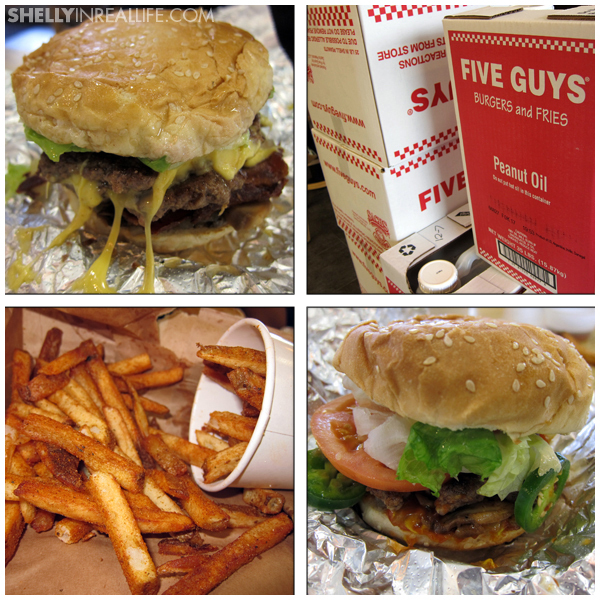 Go find your nearest Five Guys and go get your grub on today!